The L.E.A.N. 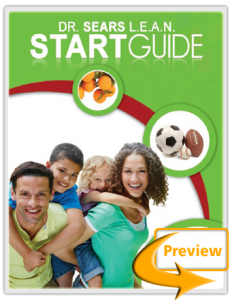 Start Guide is an 80 page colorful resource book that corresponds to each of the six workshops sessions. The books is a designed to provide additional information and be a lifelong resource tool. Both you and your children will enjoy watching this entertaining and educational DVD hosted by best selling author and renowned pediatrician, Dr. William Sears. The DVD contains six educational segments that correspond to the L.E.A.N. Start Guide and workshop. This 22-page activity book is designed for Parents to use with their children at home. The activity book is filled with fun and interactive activities for young children. It includes coloring pages, games and activities to help you teach your child about good nutrition and important lifestyle choices. Contact Me to learn more about how L.E.A.N. Start workshop would benefit your family or your business.